← What was the Ark? The mandrake is associated with the patriarch Jacob, son of Isaac and Rebekah and grandson of Abraham. This event took place in Paddan Aram where Jacob was living with his mother’s brother, Laban (Genesis 29: 15 – 30: 13). Jacob’s two wives were the daughters of Laban. Leah was the first and older wife and Rachel the younger, second wife. Jacob loved Rachel more than Leah. At this time, Leah has birthed four boys and stopped conceiving children. Rachel has born no children. Jacob spent his nights with Rachel. 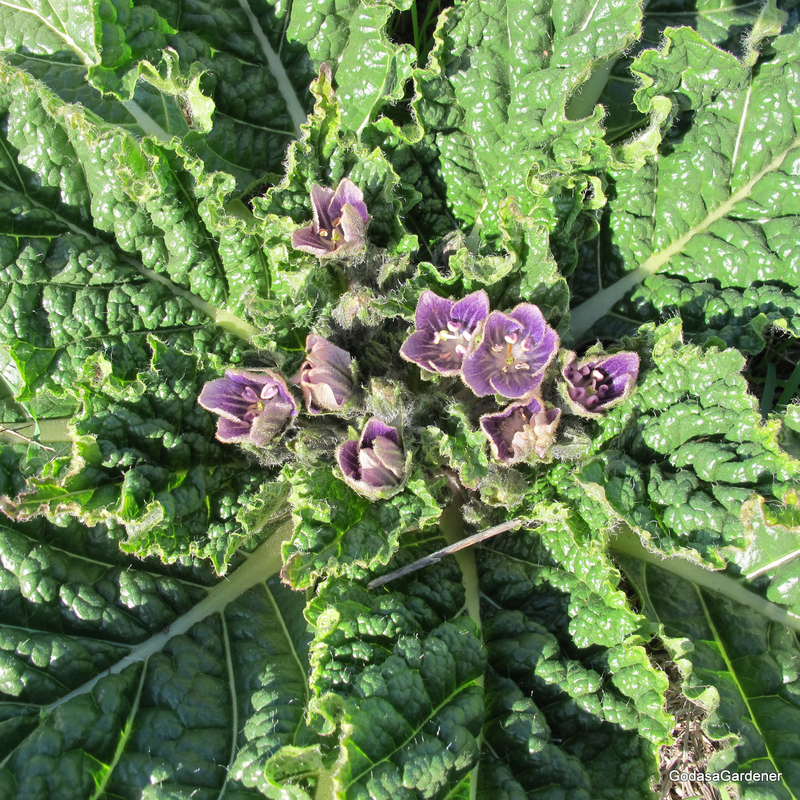 The mandrake, Mandragora officinarum (AKA M, autumnalis) is a member of the Solanacea family that includes some poisonous plants (nightshades), but also important crop plants such as potatoes and egg plants. It is native to lands around the Mediterranean Sea. The mandrake grows best in stony wastelands and uncultivated fields and will not survive severe winters. The most notable segment of the mandrake and the portion associated with fertility and conception is the root. Mandrakes have large brown roots (similar to parsnips) that can run three to four feet into the ground.The thick root is frequently forked similar to two legs. The root can weigh several pounds. On the surface of the ground, the mandrake is a dark green color with a rosette of leaves which can grow up to twelve inches long and six inches wide. 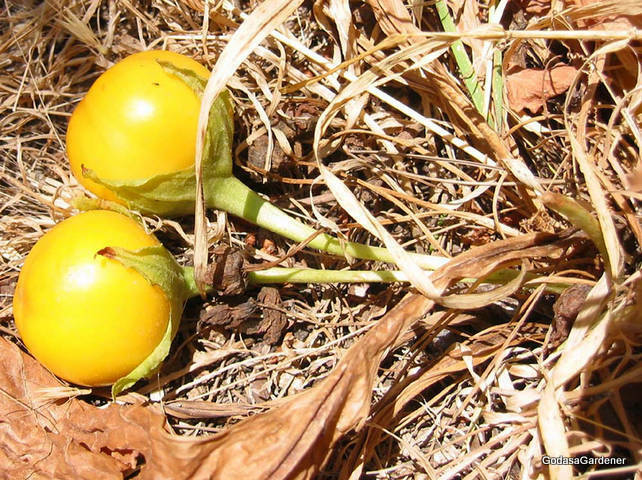 Mandrake flowers produce globular yellow to orange berries which resemble small tomatoes. Thought: I am sure that I have engaged in superstitious behavior and have tried to manipulate or end run God. I am equally sure and thankful that the Holy Spirit intercedes for me when I pray. Over time I have become willing to admit that I do not have the answers to every situation. More and more my prayers are simply, “Your will be done, God.” What about you? Are you like Jacob’s wives trying by superstitious behavior or your own efforts to manage events and situations in your life? Or are you willing to wait prayerfully on God’s time and/or his will for you? This entry was posted in Plants & the Ancient Fathers and tagged Bible Plants, Bible Study, God as a Gardener, Jacob, Leah, Old Testament, Rachel, religion, Superstitious. Bookmark the permalink. Thank you Carolyn. The example of David going to Gath and our joining another company exactly suits the situation. But you have left me helpless as you say “I doubt very much”. Can’t i take that as a leading from God? It’s reassuring in many ways that I am not alone in engaging with superstitious behaviour, and I must admit I’ve been guilty of opening a page of the bible expecting to read a message just for me! I have been praying for three years now, night and day for a particular heart-breaking situation to end. The scriptures tell us that if we ask anything in the name of Jesus Christ, it will be given to us. However, I have to accept that God does everything in His own timing and one has to wait patiently and in faith for this, which can be challenging and a real test of one’s faith. I enjoy reading your interesting blogs – well written and researched. Very interesting and insightful. Thank you. Can’t we accept certain verses that speak to us in our daily reading as God’s answer to our questions that we ask before opening our Bible?